Therapy alone can help you to make great changes in your life. But true change, happiness, balance and healing come from examining all areas of your life and making the appropriate changes as needed. When I speak of holistic health I am meaning exactly this. We need all areas of your life to be addressed. While I am able to help my clients with a great deal of difficulties they are facing, there are some things I am not trained in treating. I am always seeking to grow personally but I am also very passionate about finding ways to help my clients heal and find health and happiness. It is through that seeking I have come to find many of the resources I have included here. Below are some of the providers I often refer my clients to for help with a multitude of areas. I love to refer to people whom I personally trust and in most cases whom have treated me or my loved ones as well. If they are listed here you can trust that they are excellent at what they do and have either helped myself, my family, my fiends and/or my clients. Cheryl and I are colleagues at the Mind-Body Wellness Center. She has helped me tremendously with my own hormonal imbalances and pain. She specializes in an array of areas. Please visit her website for more information. I often refer clients to her for hormonal imbalances, pain management, acne, infertility, depression, anxiety and supplements. She is a great resource for myself and my clients. 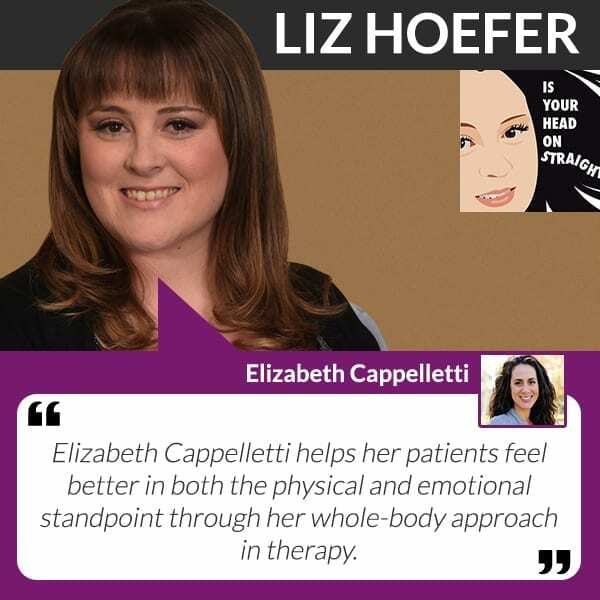 I did an interview with Dr. Hoefer talking about how much she and Dr. Tomp have helped me with pain. You can hear that by clicking on the picture below. I send everyone I know who has pain to them. Dr. Hoefer also specializes with kids and works with both of my young children. She has helped them with a multitude of issues ranging from night terrors, tics and constipation. She’s AMAZING!!! They are both AMAZING and have changed my life! Click on the image below to hear my interview with Dr. Hoefer. If you or someone you know is struggling with Borderline Personality Disorder (BPD) or symptoms of BPD, this is the place to go. DBT has been proven to be the best treatment modality in helping individuals with BPD. I have sent several clients there and they have had positive results from the treatment.